We have pullet carpet shells available which are caught in the Eastern Scheldt, which is a tidal basin of the North Sea. The pullet carpet shell is also known as Venerupis corrugata or Tapes pullastra. The pullet carpet shell can be found in the sediment on sea beds in shallow parts of the eastern Atlantic Ocean, including the Eastern Scheldt. Since this is really close to our company, we are able to catch our pullet carpet shells ourselves. After the clams are caught, we wash them to remove the sand. As a supplier we sell our pullet carpet shells whole. The pullet carpet shell can be recognized by its oval shape and the concentric lines across its shell. The colour of this shell is often creamy, grey or pale brown. In general, the pullet carpet shell has a high meat percentage and contains quite tender meat. One hundred grams of the pullet carpet shell will contain around 65 calories. In addition, the clams also contain a lot of protein. Because the pullet carpet shell is especially consumed in the south of Europe, we export our pullet carpet shells mainly to catering industries in Italy and Spain. In these countries the clams are regarded as a great delicacy. There are several ways to prepare pullet carpet shells. For example, you can eat the clams raw or cook them. In Italy they like to eat the clams with linguine. However, in Spain the clams are often served as ‘almejas a la marinera’. This is a Spanish dish which is often served at Christmas. 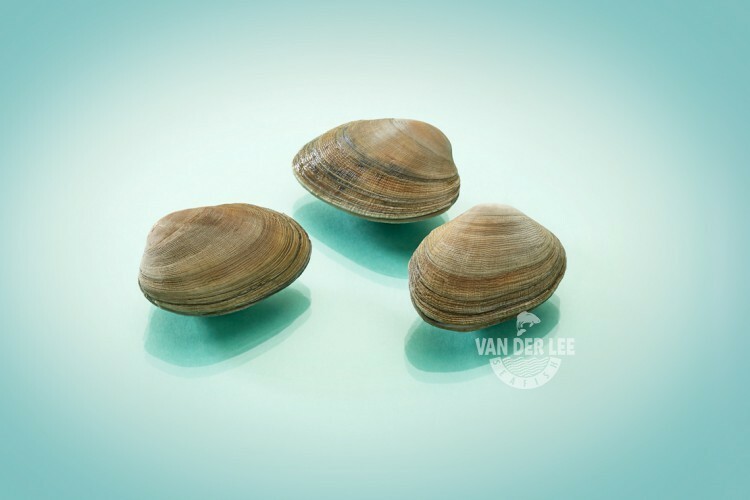 Since the flesh of the pullet carpet shell is quite soft, the clams will also be perfect for rice dishes.